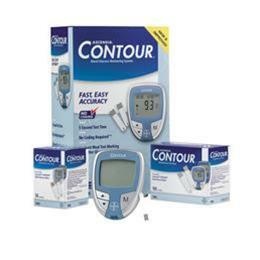 The Contour® meter from Bayer uses unique test strips which eliminate the need for coding and use a tiny amount of blood for easy sampling. Get fast, accurate readings the simple way. Only Bayer could bring you a meter this easy, this accurate and this complete.